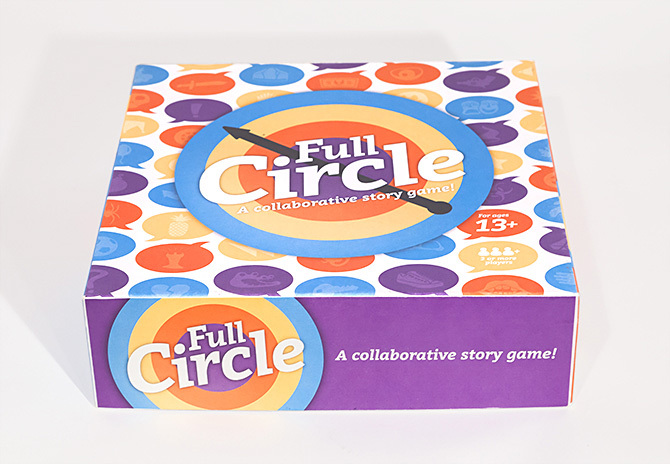 Game design, packaging, and fabrication of a limited-run board game, done in collaboration with Chris Daleen and Stacie Sansone. 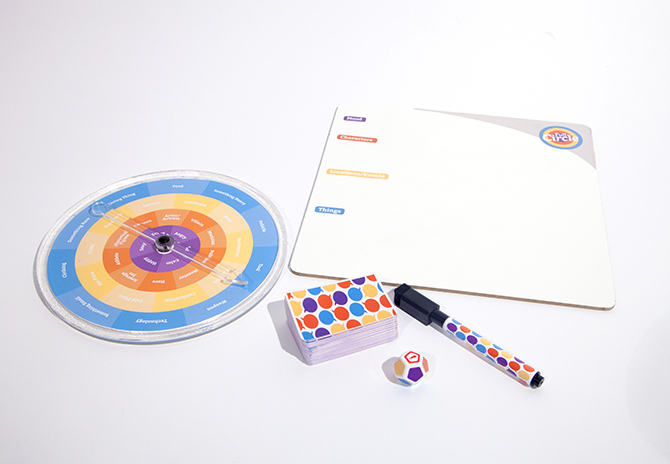 The game is non-competitive, instead focusing on collaboration within a group. 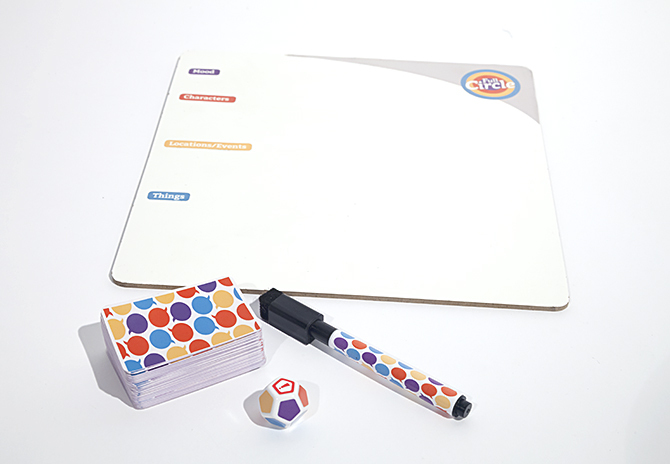 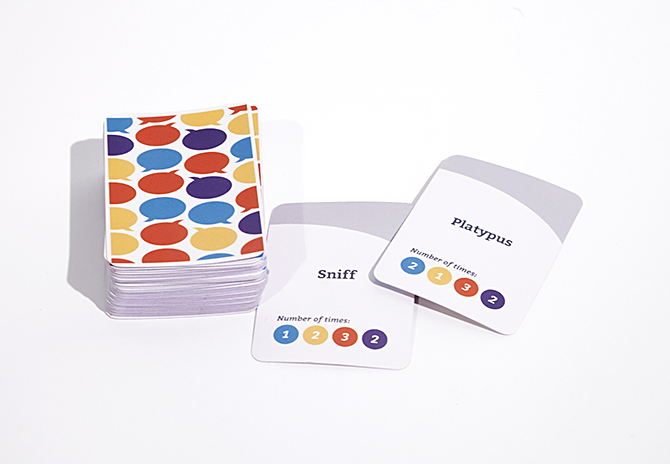 The objective of the game is to create a story using elements selected from a spinner and a deck of cards, and then take turns continuing the story from player to player while new words and guidelines are introduced. 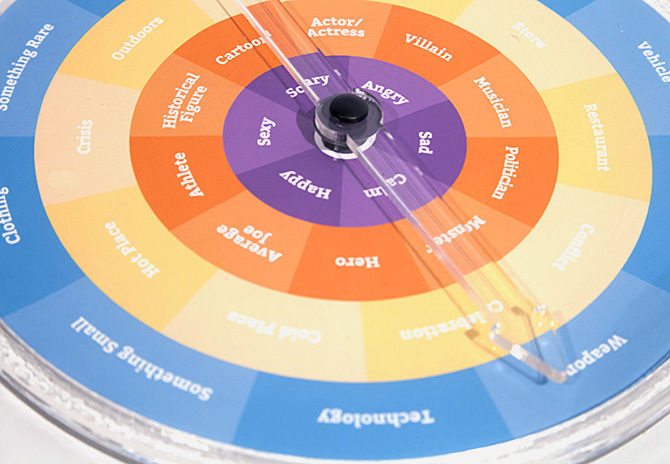 Spinning gives the player general guidelines to adhere to, and cards give players specific words to be used during their turn. 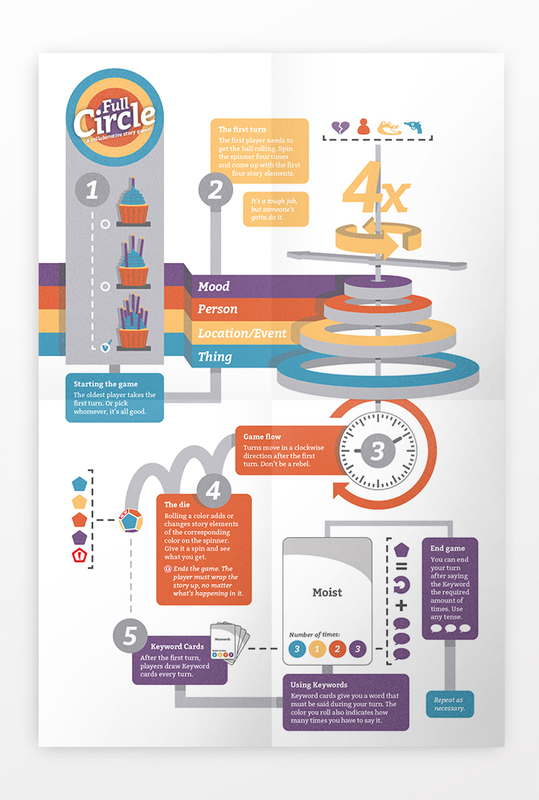 An infographic poster is included to explain the rules.